Where and how was awarded Dr. Kai Kaye during the annual event at German Plastic, Reconstructive and Aesthetic Surgery 2018? After attending an official Course for Residents at Ocean Clinic on September 27th of 2018. Dr. Kai was awarded as the best Plastic Surgery resident in a 2018 Training Center, a category for clinics with less than 3 training posts. 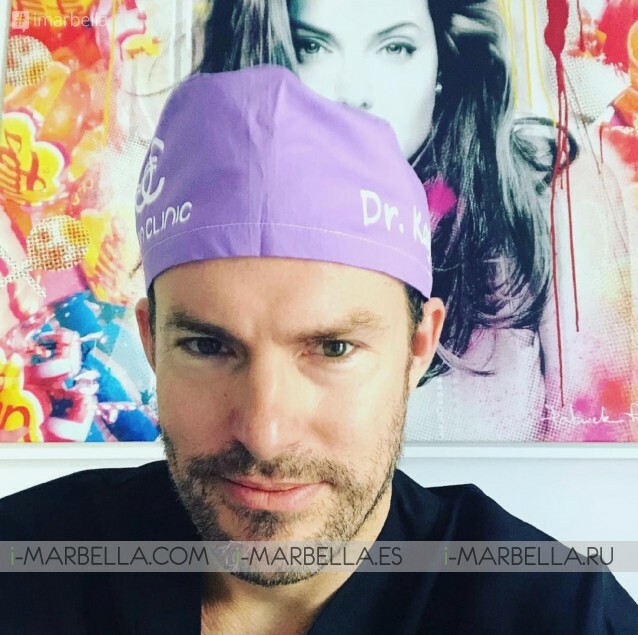 Dr. Kaye, who has German origins is the chief consultant plastic surgeon and director at Ocean Clinic Marbella where he was honored with the 'Best Plastic Surgery Resident' by the prestigious and well-known international German Society of Plastic, Reconstructive, and Aesthetic Surgery. DGPRÄC is a recognized plastic surgery institution with headquarters in Berlin, Germany. 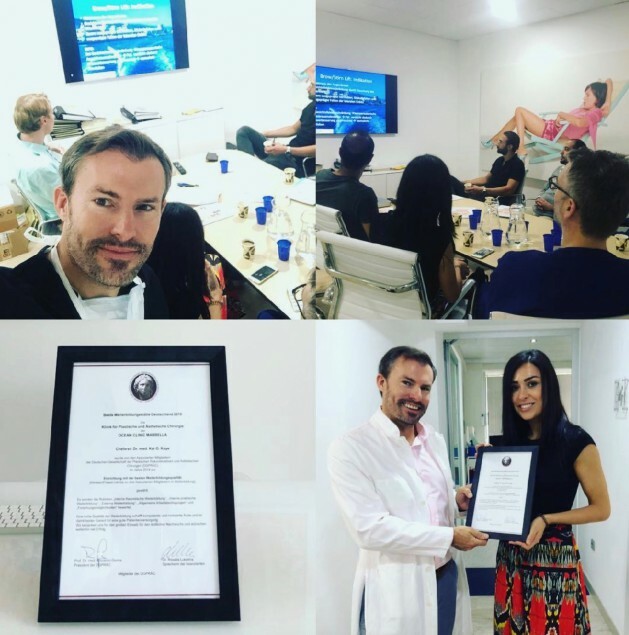 The honor was given to Ocean Clinic Marbella and Dr. Kai Kaye during a training session 'facial rejuvenation course' at Ocean Clinic in Marbella, Spain. This prestigious award only proves their high quality, dedication, work ethics and long-term commitment that is now paying off. Ocean Clinic located in Marbella, Costa del Sol, Spain was also awarded this prestigious prize due to the quality of their residence training courses, their emphasis on clinical research and their dedication to providing excellence in aesthetic surgery training. Once again, Ocean Clinic Marbella is confirming why is one of the most modern clinics of all Costa del Sol, Spain. It offers you the complete range of the most advanced plastic and cosmetic surgery techniques. When it comes to Ocean Clinic Marbella, aftercare is as important as the entire cosmetic surgery procedure itself. Dr. Kaye founder and director of Ocean Clinic. He is a fully registered Plastic Surgery Consultant in Germany, Spain, and the UK. He regularly lectures at national and international conventions as invited faculty, teaches at Plastic Surgery Resident courses, and has published several articles in the field of plastic and aesthetic surgery. Dr. Kaye is a full member of various prestigious international scientific societies (SECPRE, DGPRÄC, GÄCD, IPRAS, ISAPS, ASPS, EBOPRAS).